You know you should be building your brand, but—com'on—where do you start?! This resource is everything you need to quickly jumpstart your brand-building with ease. Have you heard the news? Instagram is changing the way viewers experience updates. Last week I read this article on TechCrunch about how Instagram will no longer display images in order of chronological order, but, instead, by way of an algorithm. Basically, Instagram will function like Facebook. Your Instagram feed will show images it thinks you want to see based on your behavior patterns (things you Like and/or leave comments on). Furthermore, your posts will be shown in your followers’ feeds based on how much interaction it’s receiving…the more activity your updates receive, the more likely it’ll be shown in your followers’ feeds. UGH. 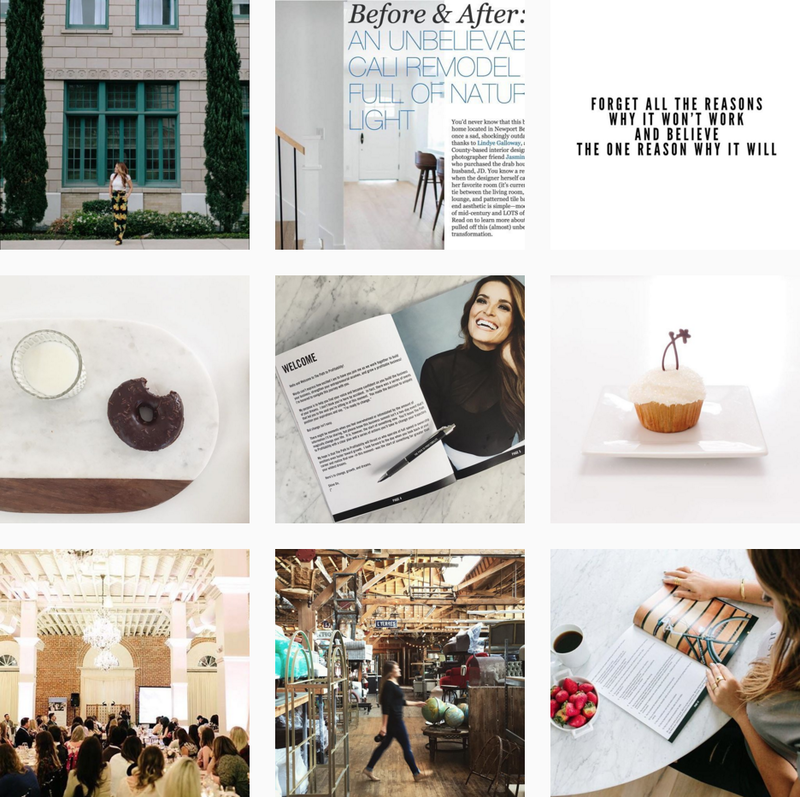 Sure, we can collectively groan with this massive change, but instead of wasting time being upset, let’s use this as an opportunity to think of ways we can improve the ways we use Instagram for our businesses. In fact, let’s make this a homework assignment for a hustlin’ entrepreneur. Based on this small sampling of Instagram posts (remember, you want to do 3-4 weeks to give you a better idea of what performs well), personal photos (like my outfit of the day or the donut I’m eating) have more interaction than, say, a business/promotional photo update. So what does this mean? If I want my business-related posts to be seen by more people, I better find ways to personalize the posts. When people like/interact more, the new Instagram algorithm will index my post favorably. Does this seem bleak? Well, yeah. Does it appear that Instagram will morph into a pay-to-play platform like Facebook? Yes. So it’s time to get creative, produce great visual content, and find ways to create organic interaction so you’re not forced to start promoting posts so they’re seen. If you have more insight into the changes in store, I’m all ears. Better yet, if you have tips for entrepreneurs to create stronger visual content, please share in the comment box. Life is about to get a whole lot easier. Desperate for change, I created a Productivity Planner to help streamline my workflow and I kissed stress goodbye. Oh, friend, it's time to start growing your business on Instagram. Sign up to receive a free Instagram marketing guide, helpful tips, and free stock photos you can use for your business. It’s basically an Instanote sent to your inbox to help push you toward your social goals and help grow your following. You're busy, pulled in lots of directions, and trying to run a business. In addition to all this, you know you should be posting on social media, so how do you balance it all? I'm dedicated to your success, so download five free stock photos to use online...I hope this empowers you to attract dream customers along the way! I wouldn’t say we were business nerds but my husband just sent me a Slack message asking me to call him. If you need me, just follow the trail of empty La Croix cans around my house.